After 10 years of experimental monetary policies that have benefited the elite and the rich at the expense of the poor and the working class, the USD hegemony is hitting a brick wall. Foreigners are doubting Washington’s ability to keep funding $1 trillion annual deficits, and even domestically, states like California are raising eyebrows as to how the central bank has been toying with their balance sheet and interest rates. In this joint report, authored by Wealth Research Group especially for RethinkingTheDollar.com visitors, their investment experts go over the possible scenarios that could lead to USD’s dethroning. Read carefully and prepare for a new world where dollars aren’t dominating the currency universe and are prone to high inflation! 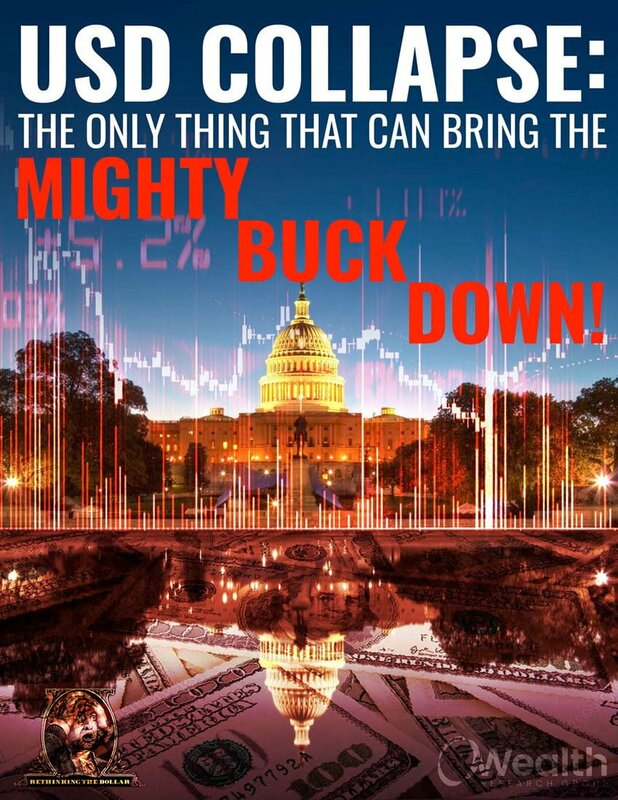 Download USD Collapse: The Only Thing That Can Bring the Mighty Buck Down now!